Posted February 13, 2019 by Jamie Apps & filed under Arts & Entertainment, Movies. The film is a visual masterpiece as it blends practical effects and sets with unparalleled CGI and motion capture performances. 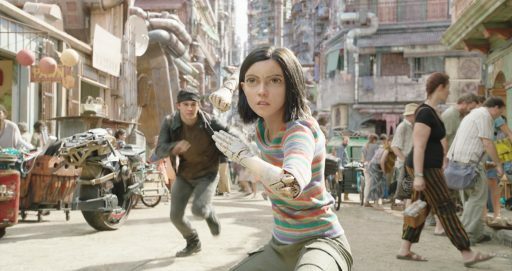 Salazar, in particular, is outstanding as she imbues Alita with a warm endearing nature, even with heavily CGI enhanced eye and limbs.